The Town of Brookhaven's Farmingville Community Redevelopment Plan represents the results of a two-year community planning process involving a broad spectrum of community members and local organizations. The planning process culminated with a Community Planning Weekend facilitated by Dan Burden which produced a clear vision for the future of Farmingville. The Plan describes the community’s vision and contains 68 recommendations and strategies to achieve that vision over the coming months and years. The Executive Summary gives a brief introduction to the purpose and development of the Community Redevelopment Plan and summarizes the recommendations the plan contains. The Introduction is an overview of the community planning process and resulting community vision. Chapter 2 is the community profile, a look at Farmingville’s demographic, geographical and social characteristics; its history; and factors that will affect further development. Chapter 3 outlines the planning process, from a community survey to focus groups with community officials and residents, to the final community planning weekend. Chapter 4 presents the vision itself, with recommendations for the Horseblock Road corridor and other parts of the community. Chapter 5 contains the Implementation Matrix, an outline of specific steps that should be carried out in order to fulfill each recommendation, the parties involved, and a suggested order for completing the steps. The Appendix contains specific results of interactive exercises during the planning weekend, presentations given by Dan Burden, copies of outreach materials, relevant planning documents, and other useful material. This is a summary of recommendations made in Chapter 4. • Commission a land-use plan. • Revise zoning rules to encourage mixed-use development. 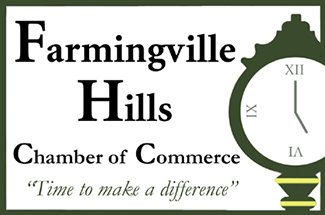 • Include Farmingville in the forthcoming Town-wide sewer study. • Conduct analyses of local transportation and bicycle access. • Establish a hamlet center as the core element of the revitalization of Horseblock Road. • Redevelop commercial properties including landscaping, improved facade treatments, and buildings located closer to the road. • Where possible, move existing stores or build new stores closer to the street, with parking lots behind. • Establish a Business Improvement District. • Attract new businesses such as restaurants, a live-music café, a bookstore, and a clothing store. • Develop community support for local businesses by involving them in community events. • Plant trees, flowers and shrubs along Horseblock Road. Place between the sidewalk and the road to enhance safety. • Provide benches, trash cans, bicycle racks, hanging plants, and banners on lampposts to enhance the pedestrian experience. • Improve lighting, positioning and spacing lampposts to enhance safety at night. Consider installing historic lampposts. • Encourage development of public spaces—plazas, gazebos, fountains, and a “village green”—in addition to Triangle Park. • Agree on a look, perhaps colonial, that would unify the storefronts and shopping centers. • Consider adding signs to let people know they’re in Farmingville and enhance community identity. • Calm, or slow, vehicular traffic on Horseblock Road by building medians and simplifying traffic patterns. • Install crosswalks at all major intersections on Horseblock Road and improve pedestrian safety. • Make the area more bicycle-friendly, creating bike paths, installing bike racks, and adding appropriate signage along Horseblock Road. • Build paths to ensure that residents can walk or bicycle from their neighborhoods to parks and the downtown center. • Work with Suffolk County Transit to improve public transportation service. • Expand existing parks to incorporate more opportunities for active recreation. • Build a community center in a central, easy-to-reach location. • Make greater use of Farmingville Hills Park for public festivities, educational programs and other events. • Open the historic Terry House and Bald Hills Schoolhouse to the public for educational purposes and community events. • Expand programming at the Brookhaven Amphitheater Arts and Cultural Center at Bald Hill. • Organize a volunteer group to help clean and maintain park property.